Maruti Suzuki is the leading car manufacturer with plenty of cars targeting a majority of prospective buyers but in the recent years manufacturers like General Motors (Chevrolet) and Hyundai have also strengthened their presence in our market. Talk about GM (Chevrolet) and you would immediately recall the very successful Beat. Now after a long while General Motors is once again planning to present something new and affordable to the Indian automobile space, in the form of Chevrolet Sail sedan and Chevrolet Sail U-VA hatchback. 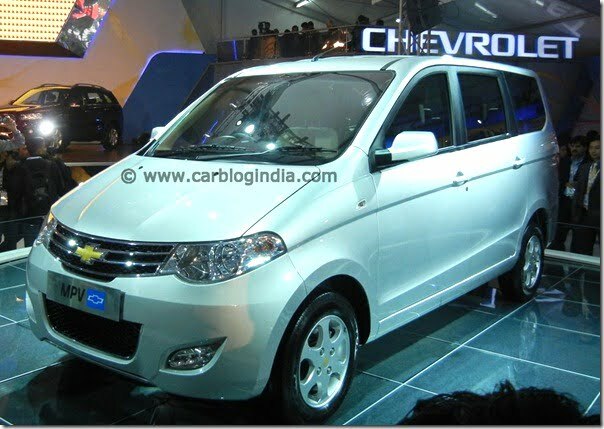 After the Sail twins the company would shift its focus to the MPV segment as it is desperate to launch Chevrolet Enjoy which was showcased at the 2012 Auto Expo held in New Delhi. The latest buzz around the Enjoy is that General Motors is planning to build various LCVs based on the platform of the Enjoy. Lowell Paddock, president and managing director, GM India, said, “We can use the Enjoy platform and elements of the MPV (multi-purpose vehicle) to roll out LCVs.” When asked about the timeline for the introduction of the two LCVs, he declined to specify the same. GM is betting big on these two LCVs and together with Shanghai Automotive Industrial Corporation (SAIC), had invested over 1120 crore. In fact the company has also increased the total production capacity of its Halol facility in Gujarat from 85,000 units to 1,10,000 units to accomplish LCV foray. The sales of GM have fell by almost 20 percent to 36,030 units, compared to the numbers it sold last year during the same period and therefore the American automaker is sincerely working on revamping its entire portfolio. With these new products the company hopes to regain the lost traction. Chevrolet has already launched the facelift models of the Captiva, Tavera and Cruze and the Spark facelift is down the line. Coming back to the LCVs now, the commercial vehicle space already has some good products such as Ashok Leyland Dost, Tata Super Ace, Mahindra Maxximo etc, and it would be interesting to see how GM LCVs would perform.